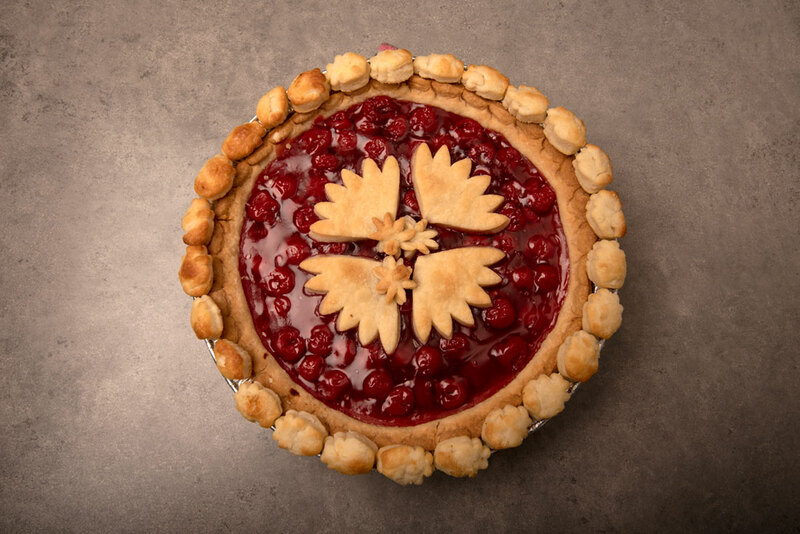 If you are a pie lover and like to bake, you’d have to be comatose not to notice the pie baking trend that is storming Pinterest and the covers of foodie magazines as well as spawning cookbooks and special baking kits - cookie cutter pie crust. 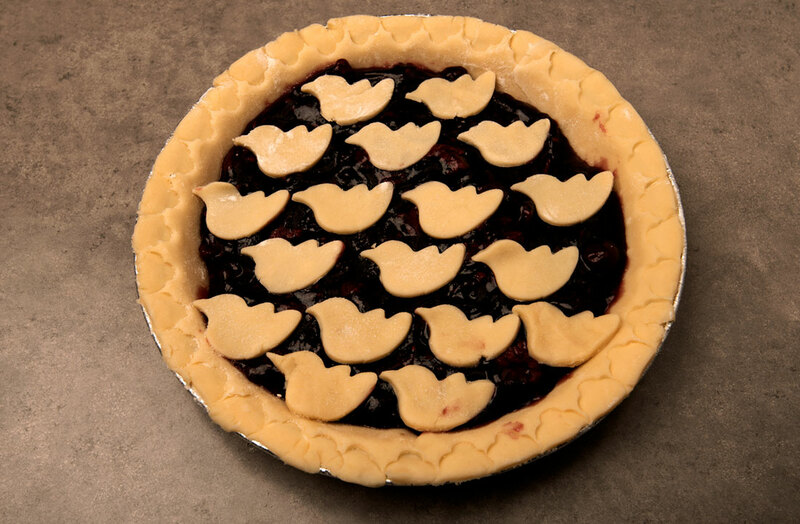 Pie crusts decorated with shapes cut out with cookie cutters are a long overdue attempt to decorate pies, which many people prefer in taste to frosted cakes but which typically are not as pretty. I decided to succumb to pie pressure and make cookie cutter pies for Thanksgiving. As with many Pinterest-inspired projects, the results were variable. I called this pie simply the Thanksgiving pie. The cookie cutter is a leaf one that I have used to cut out fondant shapes for cakes. It worked fine, so if you have those little plastic fondant cutters or any other cookie cutters, don’t think you need specialty ones for pies despite this year’s aggressive marketing of special pie crust cutter kits. I named this blackberry/raspberry pie Four and Twenty Blackberries Baked in a Pie. With this one, I ran into a problem with the blackberries not browning as quickly as the edges did. Expert advisors told me to place foil on the edges to prevent this halfway through cooking, but I was far too lazy to bother with that so it was what it was. 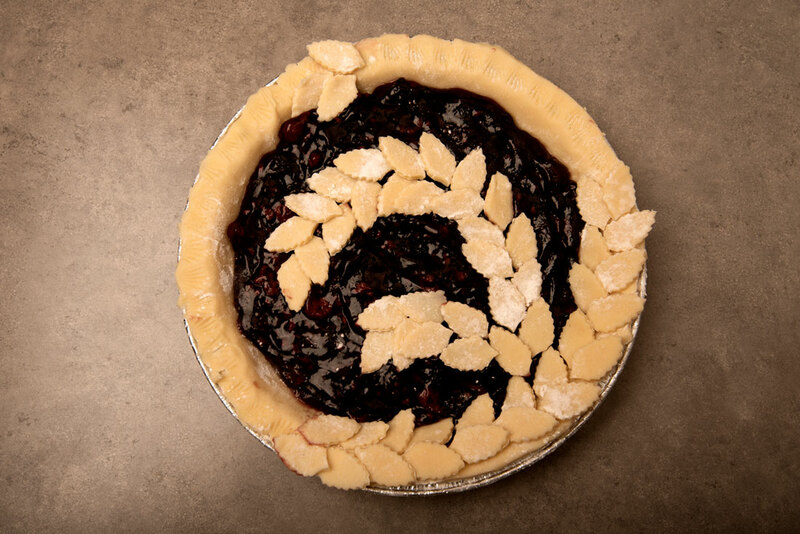 The edges of this pie were made by pinching a set of tongs repeatedly around the edge of the pie crust - easiest way ever to make fancy pie edges. I called this pie, the cooked version of which is featured in the top picture, the Cheery Cherry Pie. The edge shapes were cut out with a fondant cutter and overlapped. 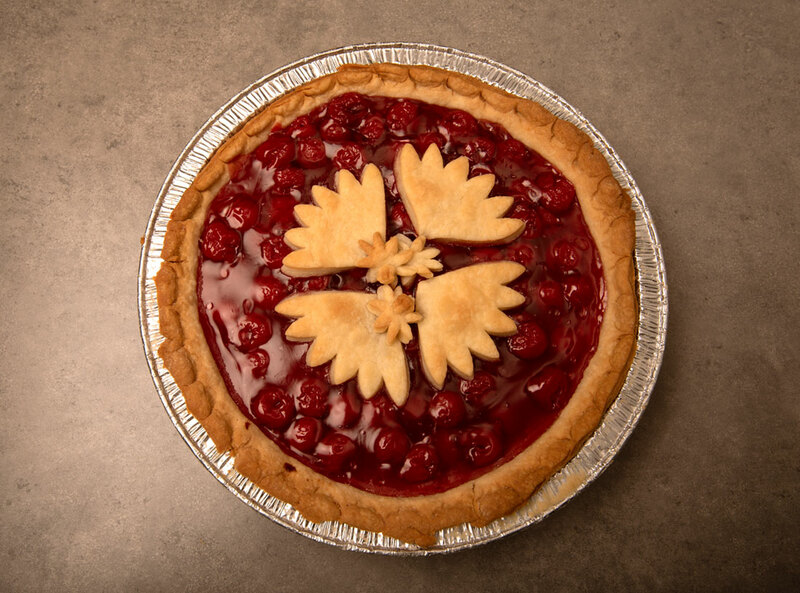 With this cherry pie, which I called Flower Power, I ran into the most common problem with cookie cutter pies. When the pie crust cooks, it can shrink, especially if you put sour cream or cream cheese in your pie crusts as I do to make them taste a little tangy and less dry. The shrinking messes up your design. This is my before pie just after taking it out of the oven, with its edges uneven and shrunken. Here is my quick fix. I cut out extra pie crust in fancy shapes, baked them for ten minutes on a baking sheet, and stuck them with dabs of honey around the edges of the pie to hide the shrunken edge. 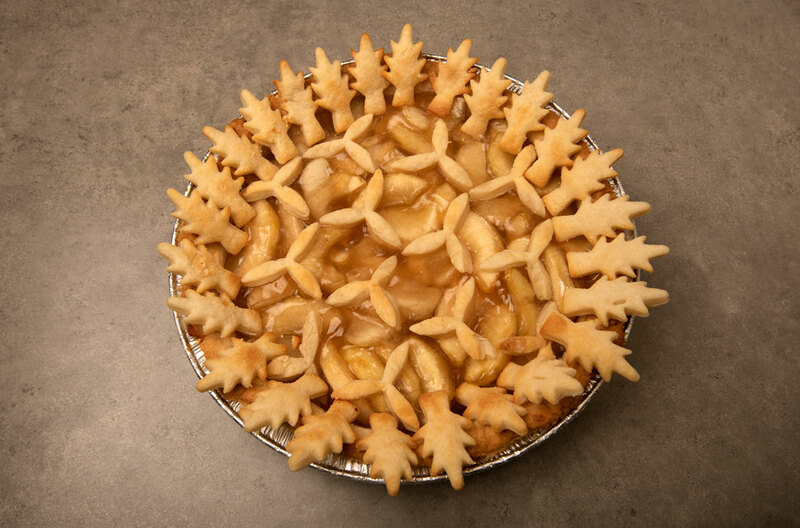 I did the same with this apple pie, using a tree cookie cutter, and dubbed it the Apple Tree Pie. 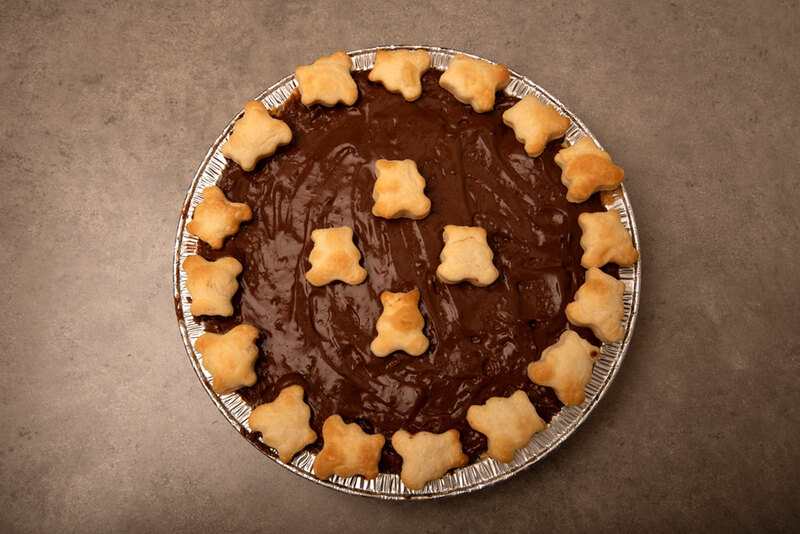 The simplest to make and the most popular was this Teddy Bear Chocolate Pie. My overall assessment of this baking project was that it was fun but time consuming and sometimes frustrating at an otherwise busy time and the results fell short of the perfection of many Pinterest pictures of pies. 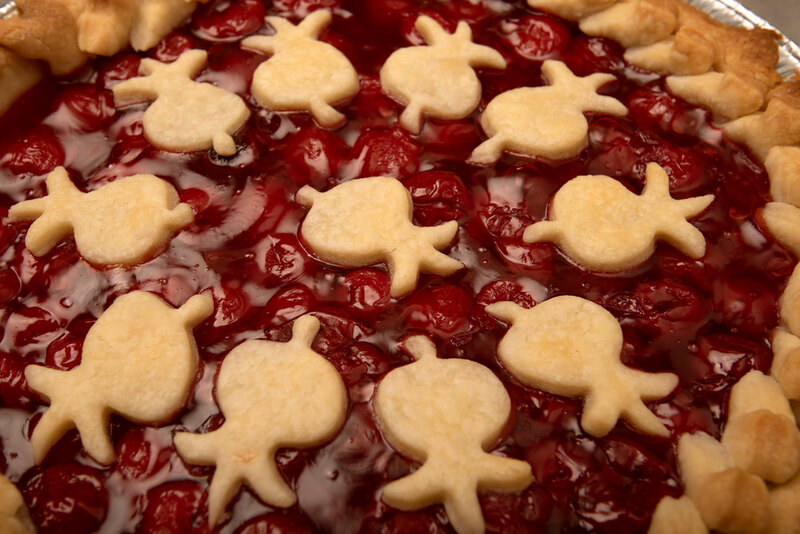 From the point of view of my guests, I don’t think the cookie cutter pies were worth the trouble. They ate simple pies just as readily and happily as the cookie cutter ones. For a future holiday, I may make one or two cookie cutter pies as a centerpiece for a dessert buffet, but others will be plain and topped with whipped cream. 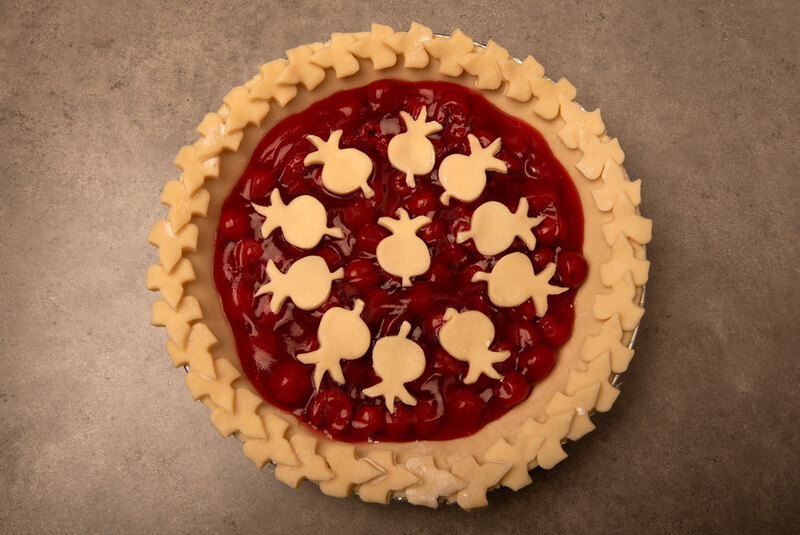 A cookie cutter pie also would be a good solution for a birthday for someone who likes pie but not cake. The pies were far easier to make than a decorated cake. Donna Rouviere Anderson and Forrest Anderson are working on a cookbook for people with tomato allergies.